Product categories of Snake / Cobra Tension Fabric Display, we are specialized manufacturers from China, Cobra Tension Fabric Displays, Snake Tension Fabric Displays suppliers/factory, wholesale high-quality products of Tension Fabric Displays R & D and manufacturing, we have the perfect after-sales service and technical support. Look forward to your cooperation! 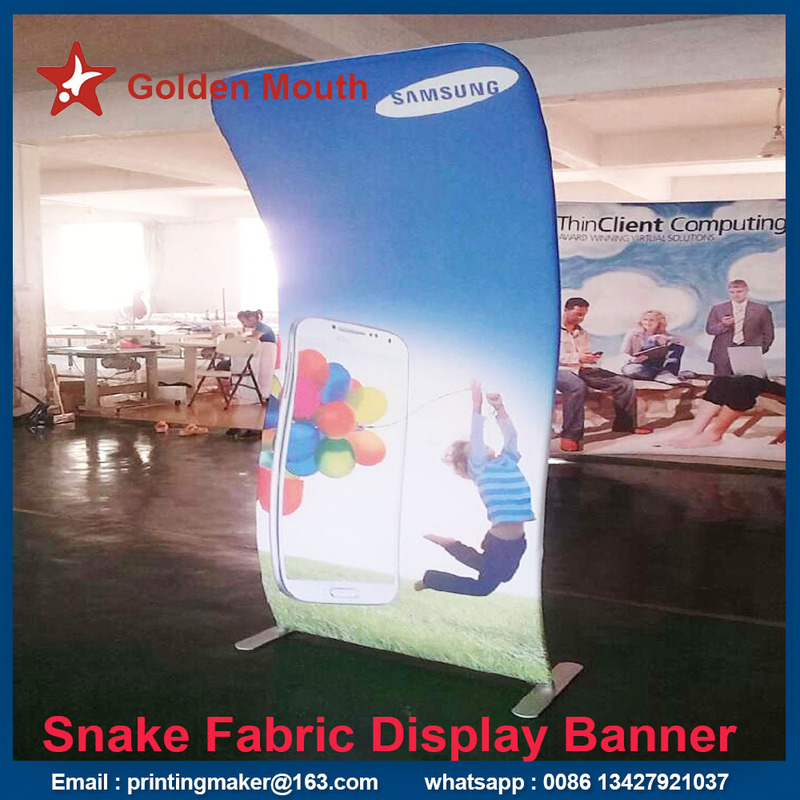 Cobra Tension Fabric Display is custom graphic printing on single side or double sided with dye sublimation printing ,this printing method is waterproof uv resistant .Our 280g stretch tension fabric is soft and light ,it can be washable and with B1 fireproof . The common size is 4*8feet ,any other shape can be acceptable . All of the writing in the file needs to be transfer into graphic format ,or if when we have no this kind of font ,the writing letters will be changed. Our designer will make the bleed ,so you just send us 1:1 size .